Many asks Amitopia regarding our Distrita office, and in this awesome article about it you can see how our office looks like now. 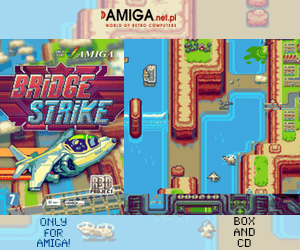 So, if you ever wondered about if Distrita DA (which is the company owning all of the Distrita websites) actually does have Amiga’s at the office. Then we can reveal that here! At our office in central parts of Oslo, Norway. We actually have one Amiga 1200, which we use for testing. 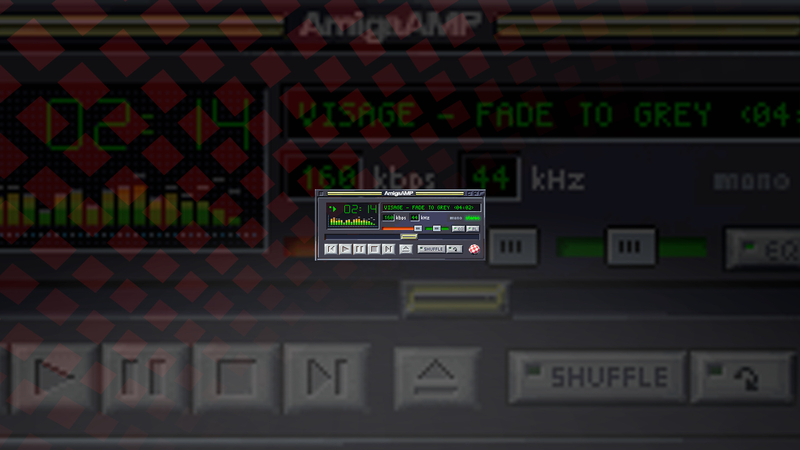 This Amiga 1200 is used to test speakers, test Amiga equipments and also help us in creating interesting articles about AmigaOS 3.1 for you. Our lovely Amiga 1200, is equipped with Apollo 1260 68060 50MHz accelerator card. This is a very nice card, which also got 32MB RAM. But that’s not everything. There is also a IDE to compact flash card converter inside, that acts like a Hard Drive with a 4GB Compact Flash memcard inserted. We also have a USB to Amiga port converter, so it’s possible to use USB mouse on the Amiga. It’s quite nice and was very cheap to get from eBay. Then we have several Amiga Joysticks, books about Commodore and correct cables for different types of product testing. 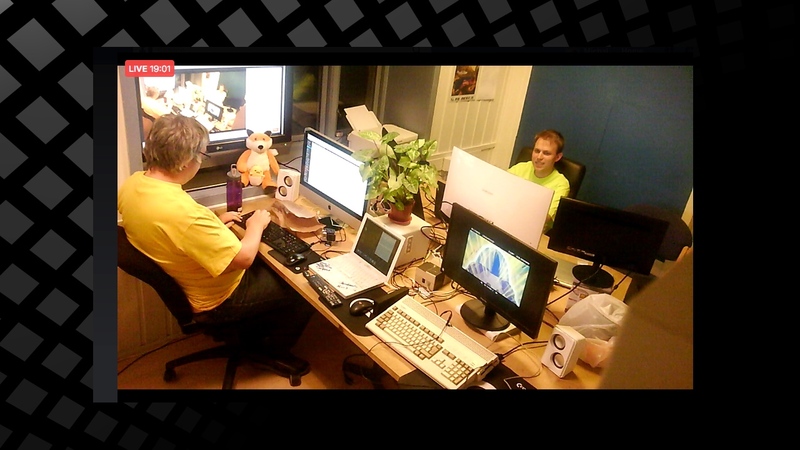 After our redesign of our office, there is also more space for other Amiga’s later etc. It’s a office that we now like very much for sure. I did an article on Distrita earlier about how to create a compact flash memcard as AmigaHD. 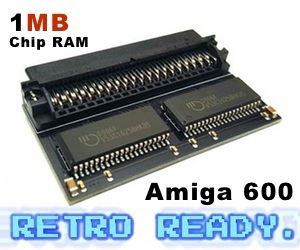 But I want to add some info about it again here as it is vital regarding using Amiga’s these days. Testing out different types of installations and different configurations regarding classic AmigaOS with the compact flash to IDE solution is perfect! It makes our work so much easier also! It’s very easy creating these compact flash memcards as classic AmigaOS HDs. Most important thing is to name the partitions for something else than HD0 and HD1 if you use MorphOS or AmigaOS 4.1, which we recommend to use! Actually MorphOS HDConfig app is one of the better HD setup apps in the Amigaworld, that we would recommend to use. With this app that comes as standard with every MorphOS release, makes it much easier to make partitions and choose correct filesystems when creating AmigaHD on a compact flash memcard etc. Format with the correctly filesystem chosen and then create it on any PowerPC machine with MorphOS installed, as this operating system have no issues with Amiga filesystems at all. And yes, this also counts for 68k Filesystems such as SFS and PFS3. Do not choose Fast File System (FFS). It will only give you issues and headaches by using DiskSalv that just won’t work everytime also if something crashes. FFS is for sure one of the most unstable filesystems around, so don’t ever think of using it! Also, we do have a PCMCIA Ethernet card for networking capabilities. Our Amiga 1200 is connected to our iMac i7 machine, which got the net thru wireless connection. We also have a PCMCIA Compact Flash reader card, which is a nice touch to have for sending files between our MorphOS machines, MacOSX machines and Windows machines. But that’s not all. This A1200 is also equipped with Indivision AGA mk2, that gives AGA thru DVI/HDMI which is pretty awesome! So, if you don’t want a full upgrade with Vampire for Amiga 1200 soon and wants to keep the original AGA graphics. Then this card is for sure a nice thing to get for your Amiga 1200. Also, we have one Amiga 600 that Michal managed to get for just 300kr at Retro Gathering in Sweden, which will be held on 30th of September again! (Here you can get some really nice hardware and games for sure.) This A600 will be upgraded very soon. This will be a Vampire V2 or Vampire V4 for it, that we will soon be put inside it. Amiga 600 is for sure one of the Amiga’s that is too much hated. The design is really fantastic and the keyboard layout is nice too. So, with a Vampire it becomes fantastic we believe. Let’s see what happens! Now we’ve had this office since May 2016 and we are very pleased with it. Distrita is growing and we hope that you want to help us in doing that. We think that independent information is important on all levels. Share us – Like us – Inform others about us – We need Your support!